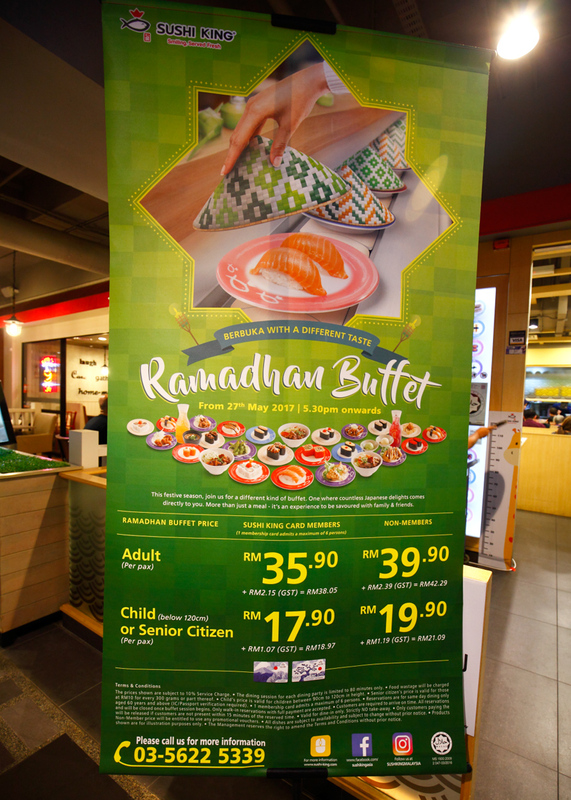 Sushi King‘s Ramadhan Buffet just started yesterday and it’s currently priced at RM39.90/pax. For children below 120cm or senior citizen, the price is RM19.90/pax. 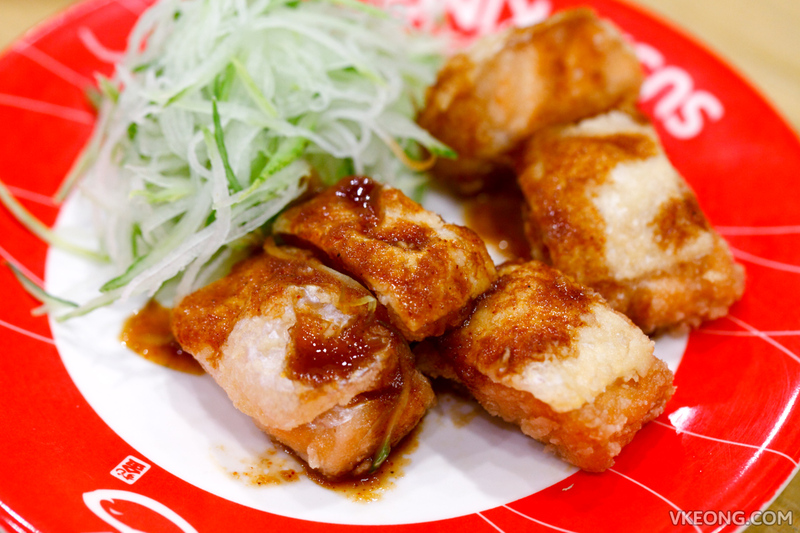 The buffet starts at 5.30pm daily and the dining session for each party is limited to 80 minutes only. 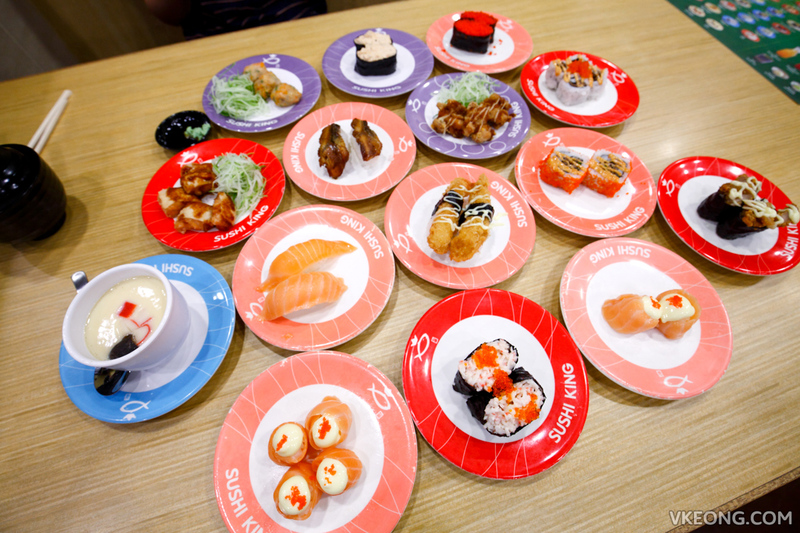 Food wastage will be charged at RM10 for every 300 grams or part thereof, so make sure you only order what you could finish. 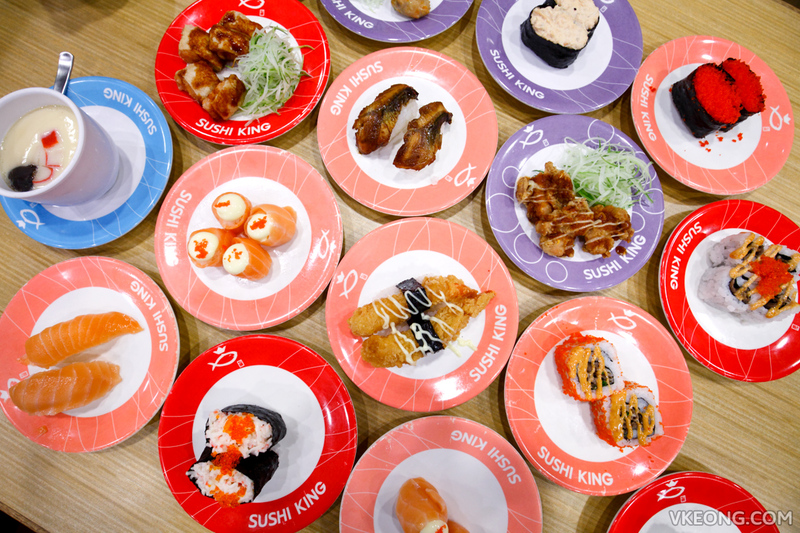 Sushi King card members will enjoy RM4 off the buffet and only one card is required to admit a maximum of 6 persons. Full payment must be made first too before the buffet starts. 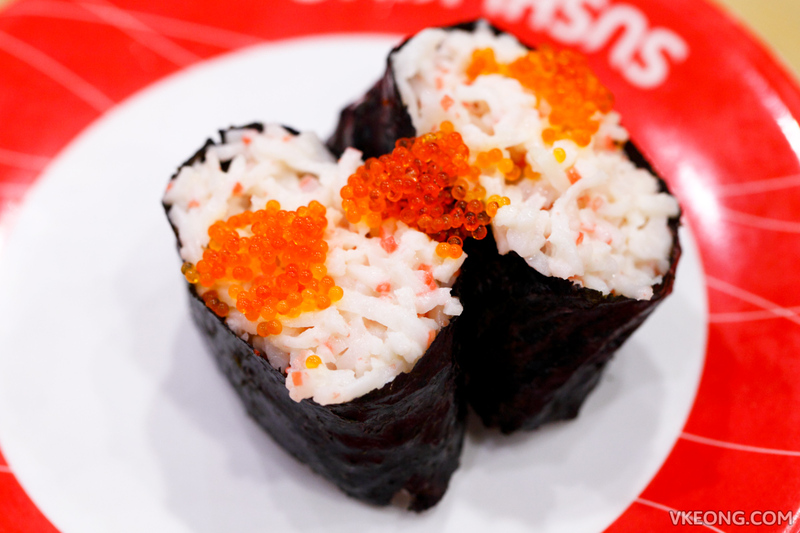 Sushi King’s Ramadhan Buffet menu has 44 different types of rice meal, sushi and other dishes. 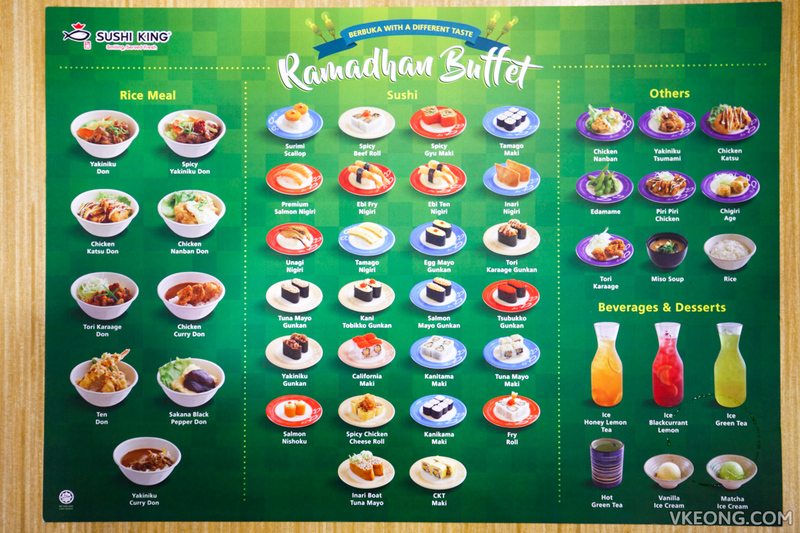 Beverages and desserts are self-service and they include ice honey lemon tea, ice blackcurrant lemon, green tea and ice creams. 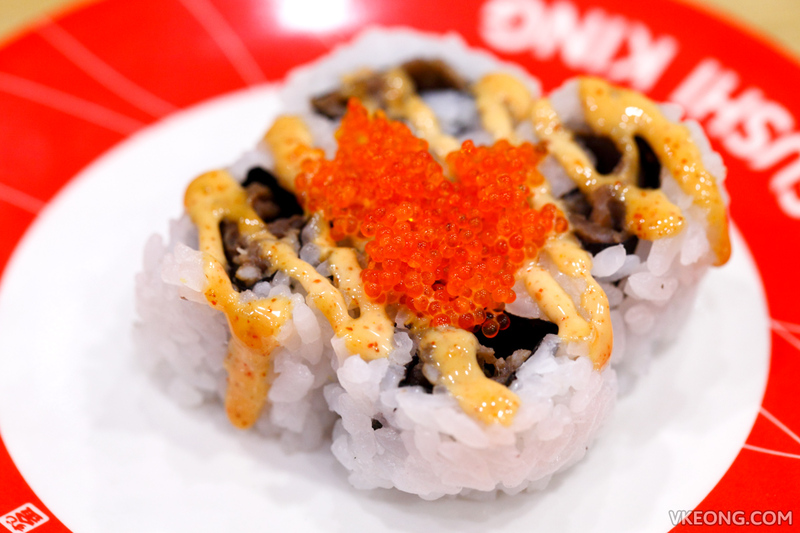 Basically you can just grab any sushi from the conveyor belt because all of them are included in the buffet. 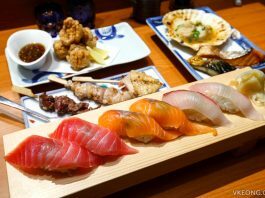 Some of the more popular items like Salmon Nishoku and Golden Ball (although not in the menu) may be missing from the conveyor belt, so you should just order them directly from the staff. 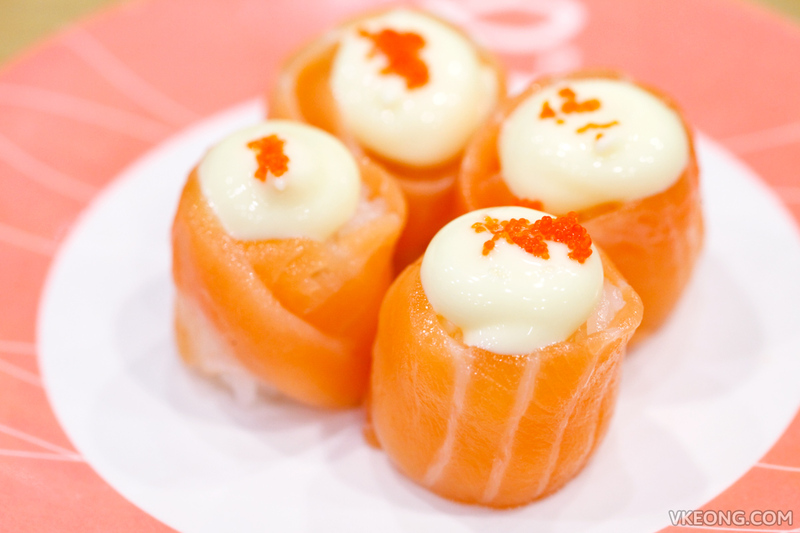 Some of things we had were: Salmon Nishoku – raw salmon with fish roe and mayonnaise. 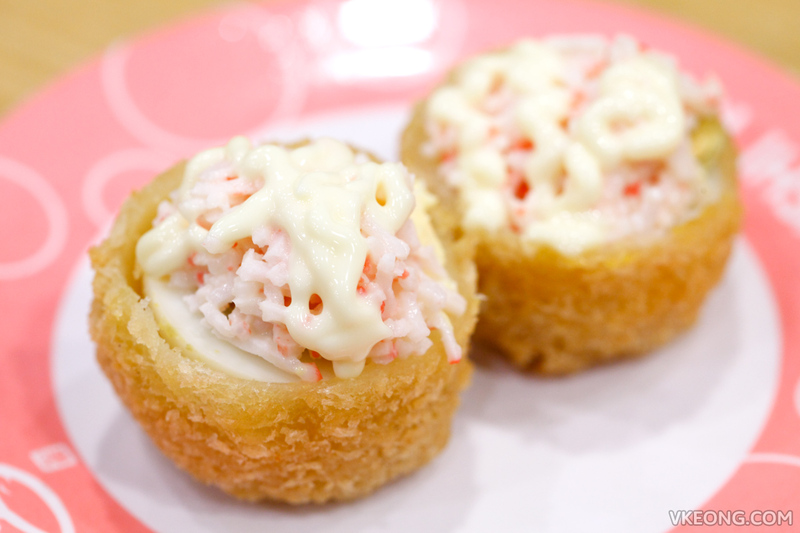 Golden Ball – deep fried hard boiled egg topped with crabstick mayonnaise. 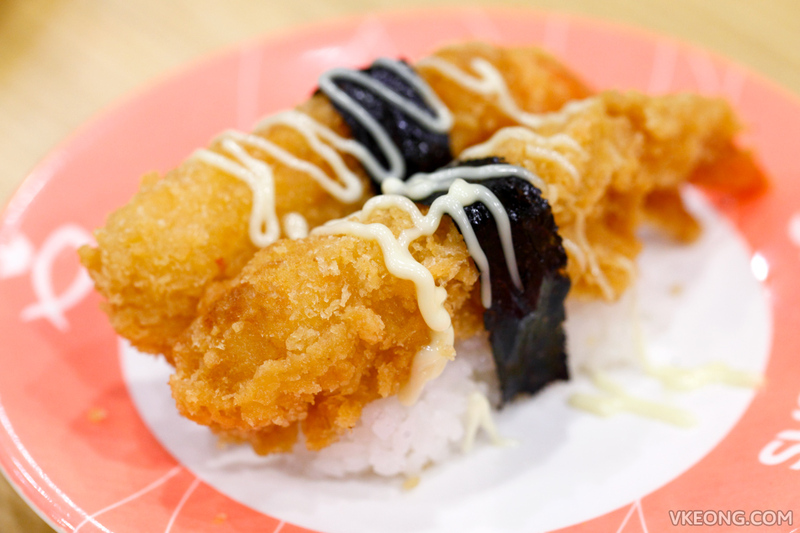 Ebi Fry Nigiri – deep fried prawn with mayonnaise. 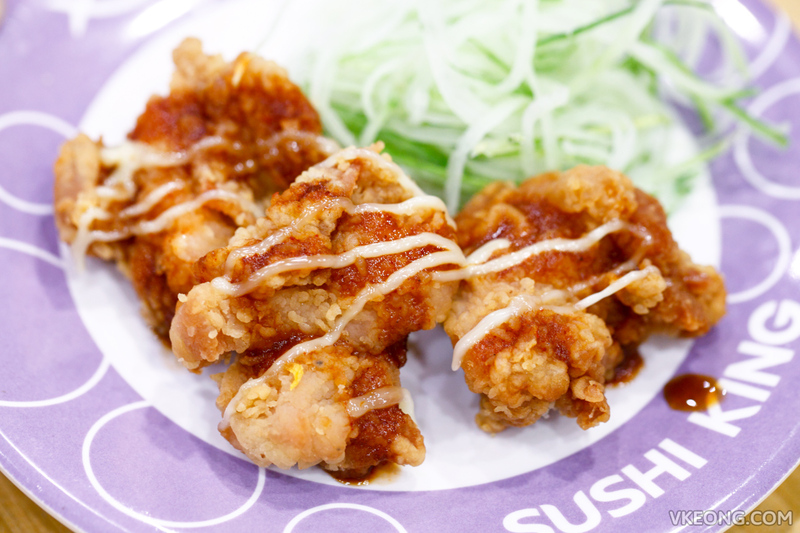 Piri Piri chicken – deep fried chicken with spicy sauce and mayonnaise. 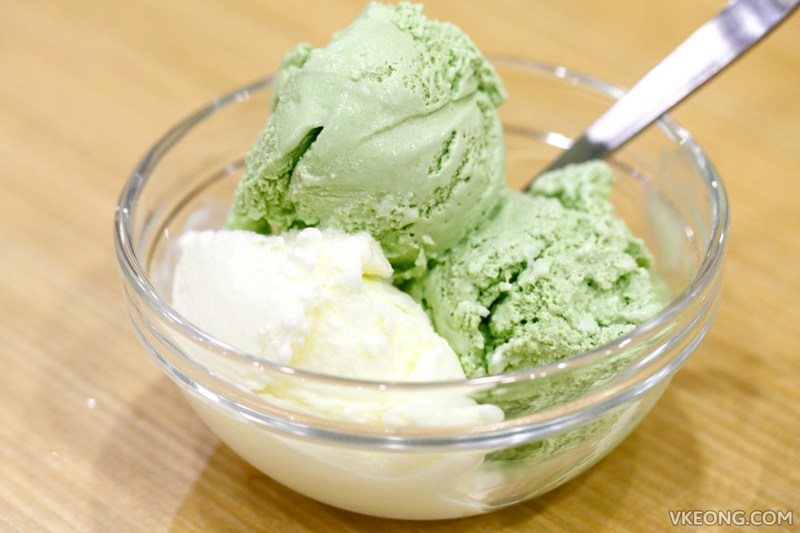 Green tea and vanilla ice cream. 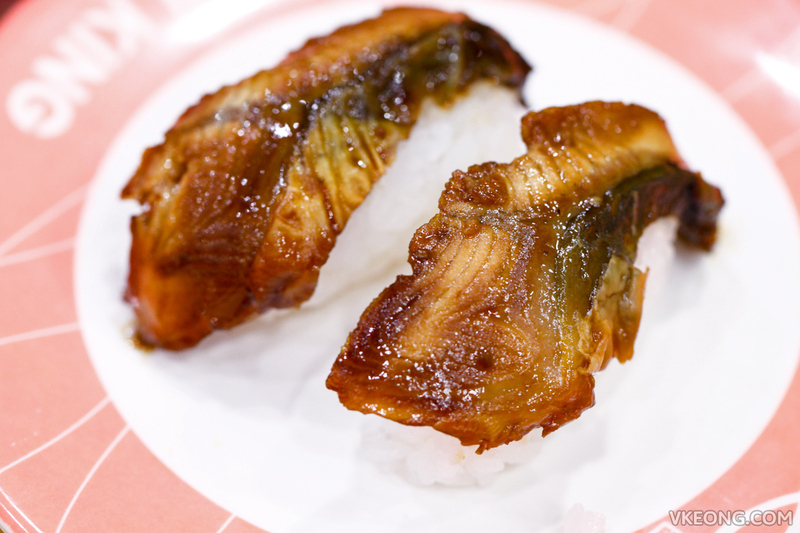 As you can see, many of the items are rice based so it will fill you up rather quickly. 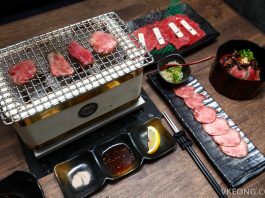 Based on our calculation, if we ordered all the above a la carte, the total bill would be equivalent to the buffet price for two. 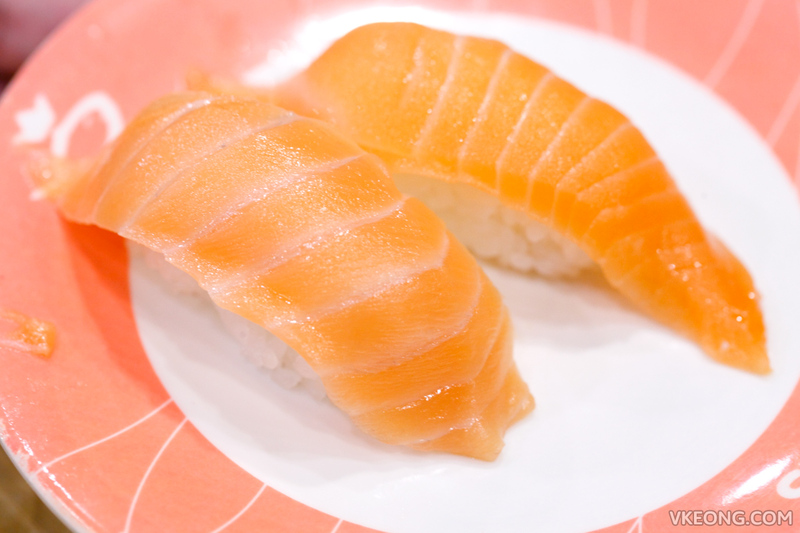 So I would only recommend the buffet if you are really hungry and go for the pricier items like Salmon Nishoku. 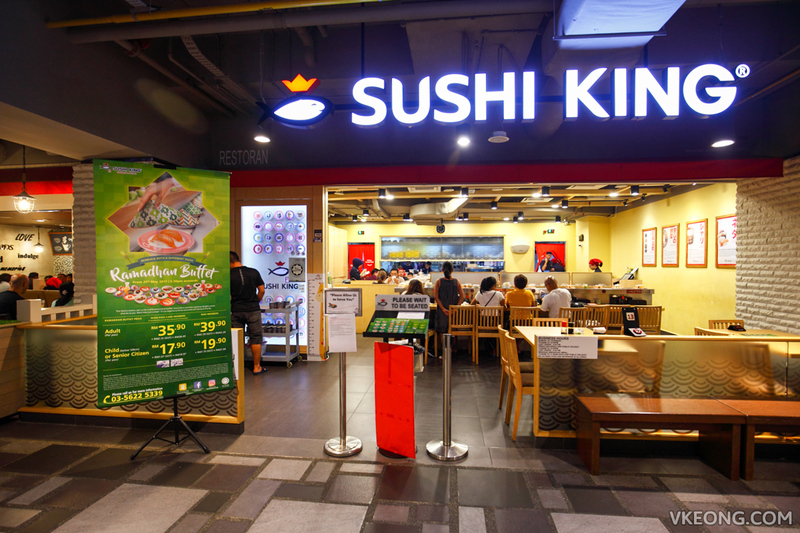 I won’t comment on the taste and quality because it’s Sushi King we are talking about and you should already know how the food actually is. 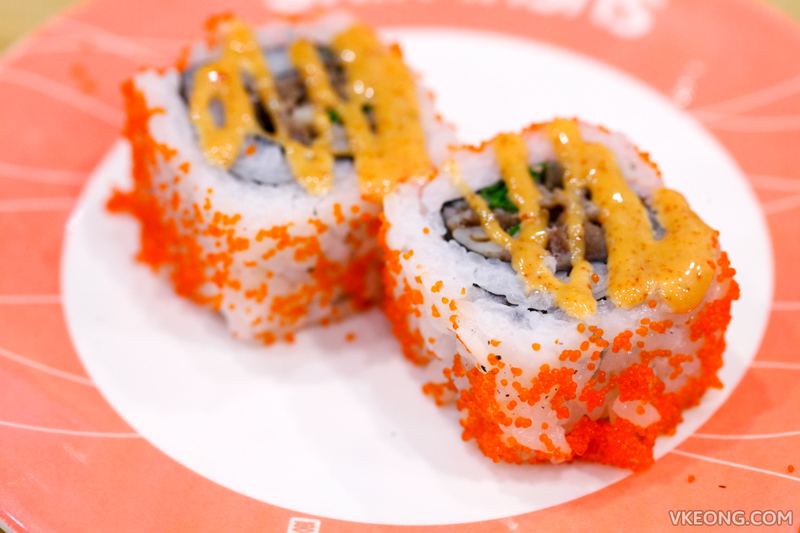 But just so you know, we did finish everything – so it’s not entirely that bad. 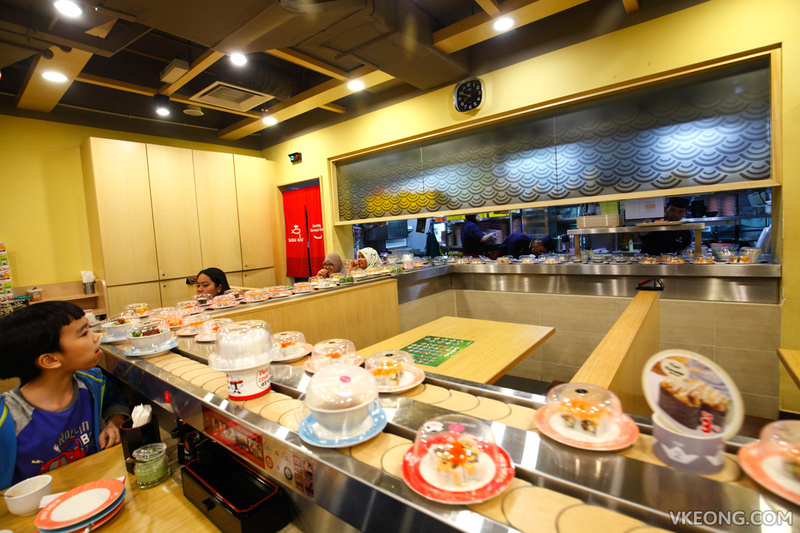 FYi Sushi King’s Ramadhan Buffet will start in East Malaysia from 5th of June onward.